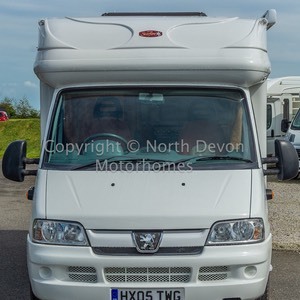 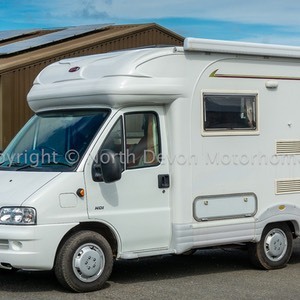 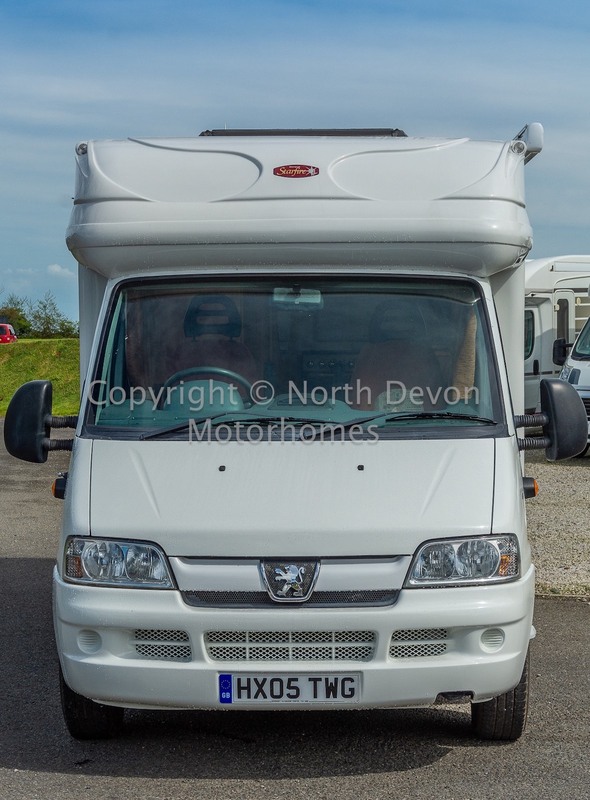 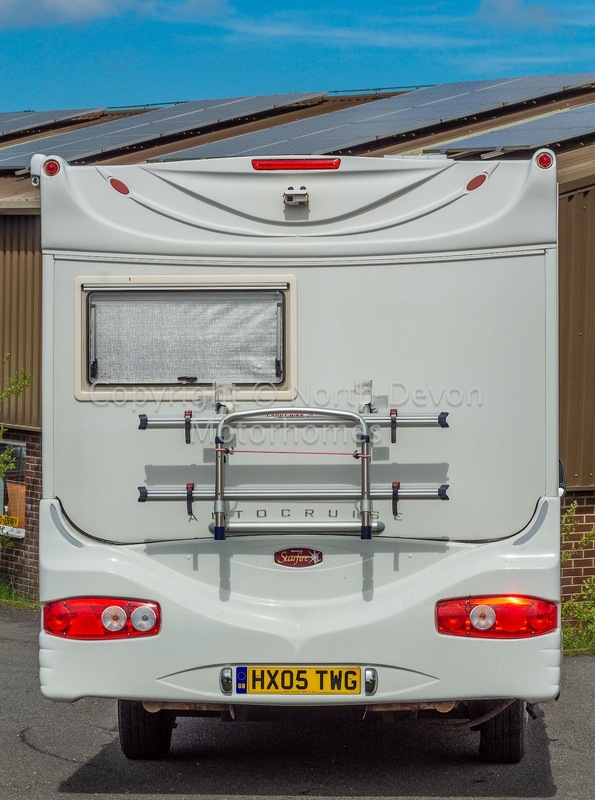 Two berth, low profile motorhome, based on a 2005 Peugeot Boxer 2.2HDI showing only 66,720 miles. 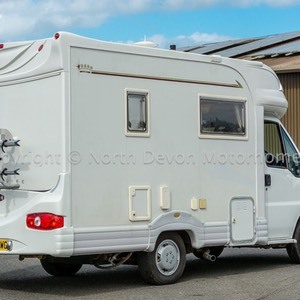 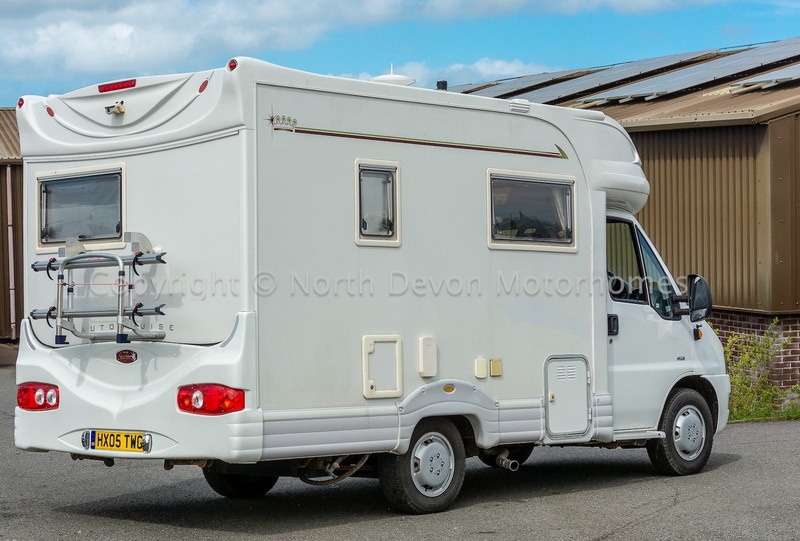 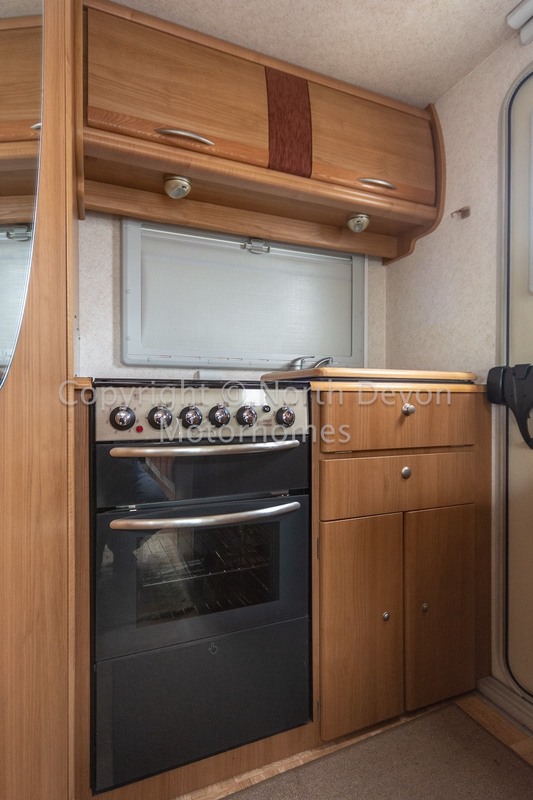 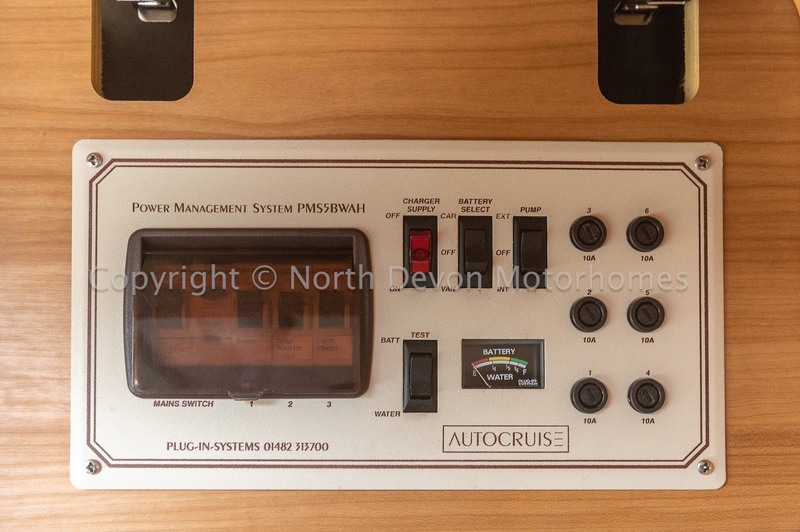 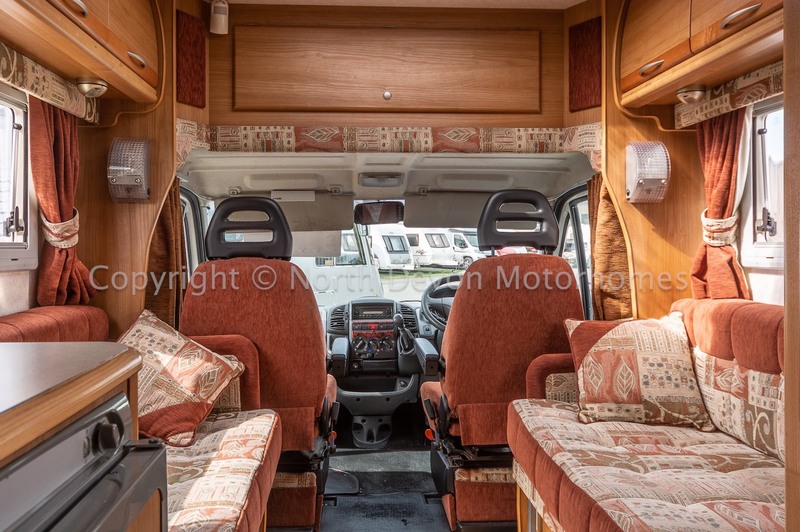 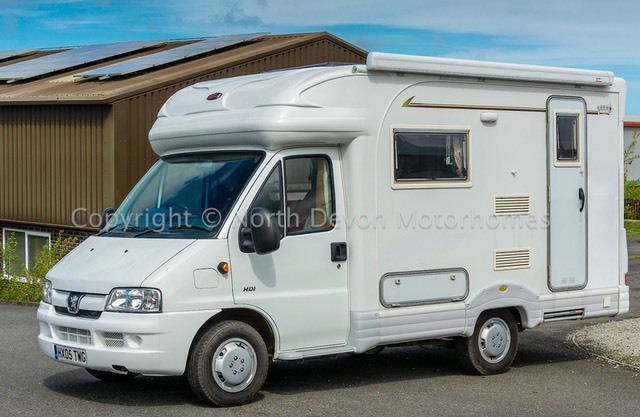 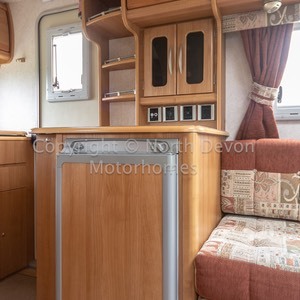 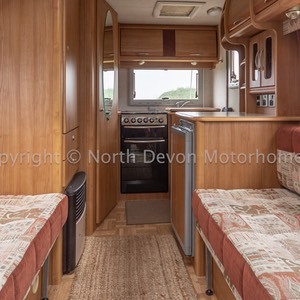 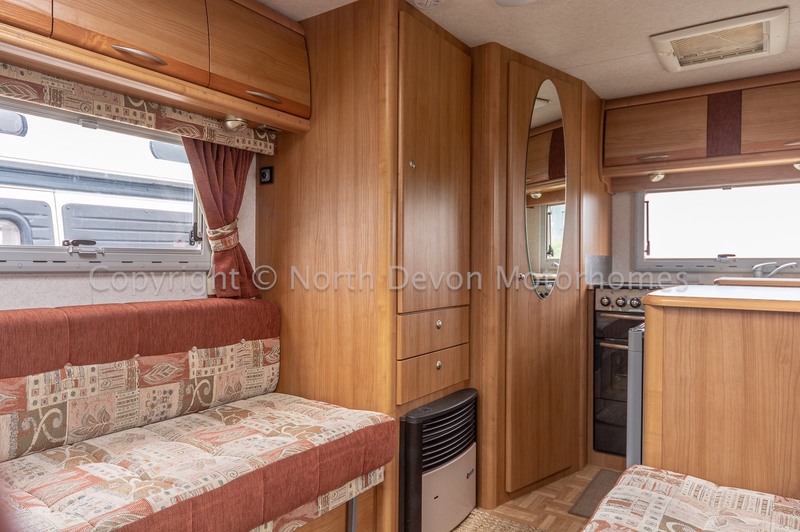 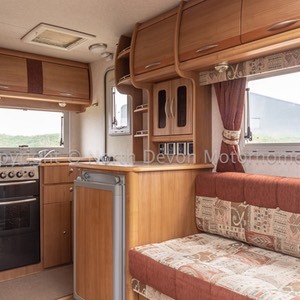 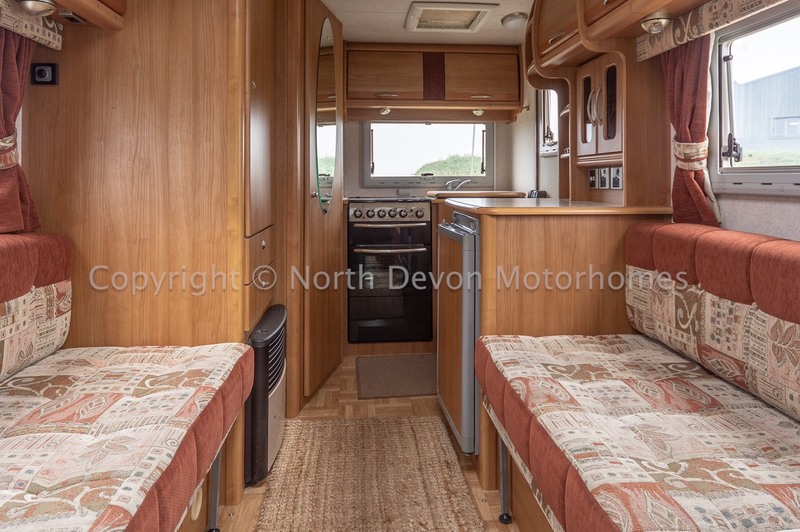 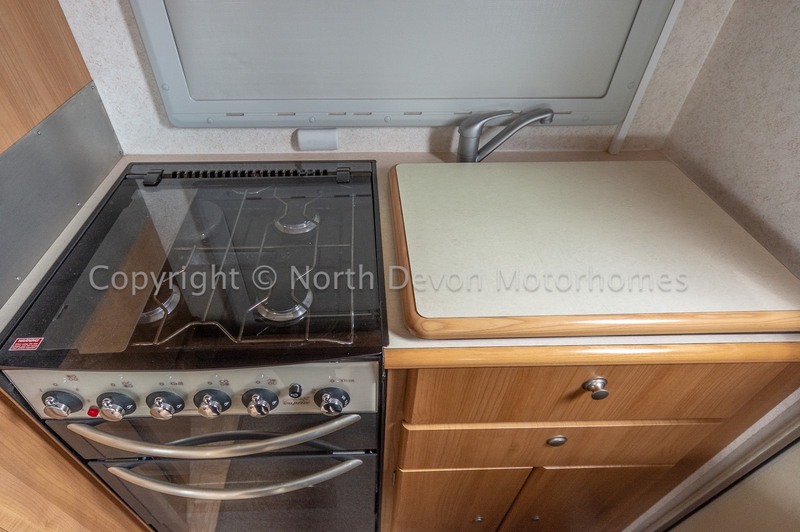 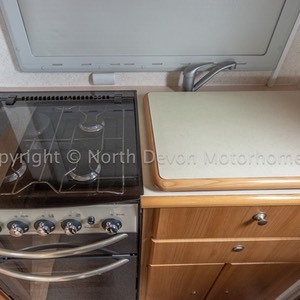 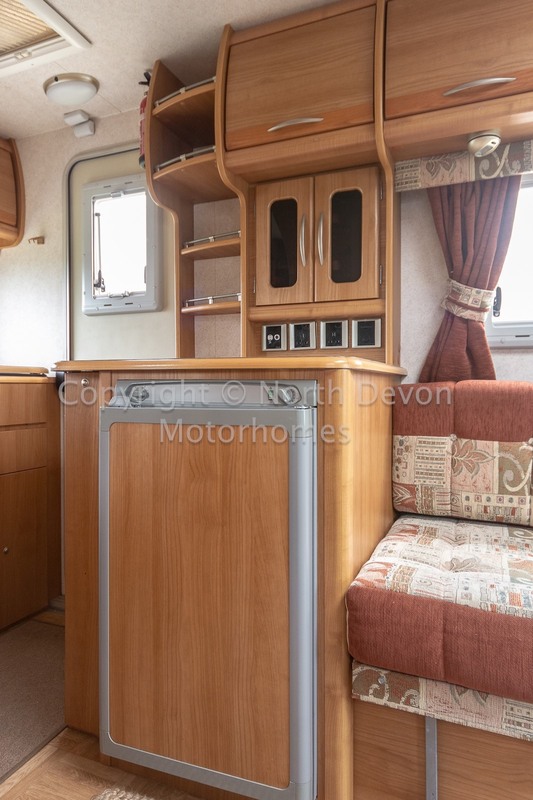 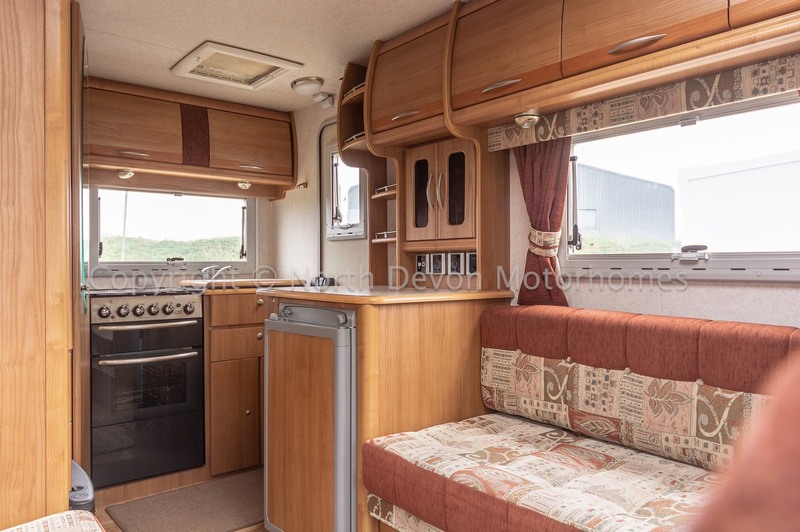 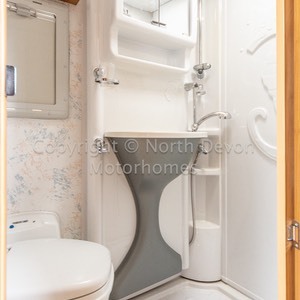 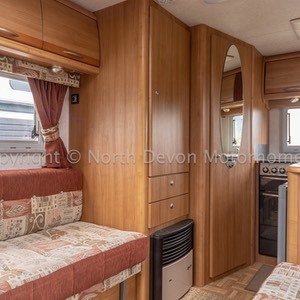 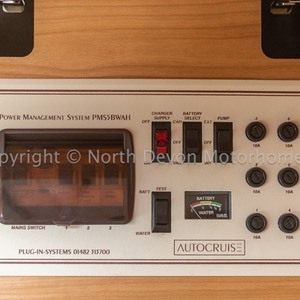 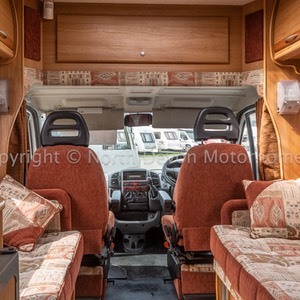 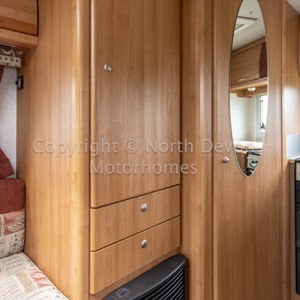 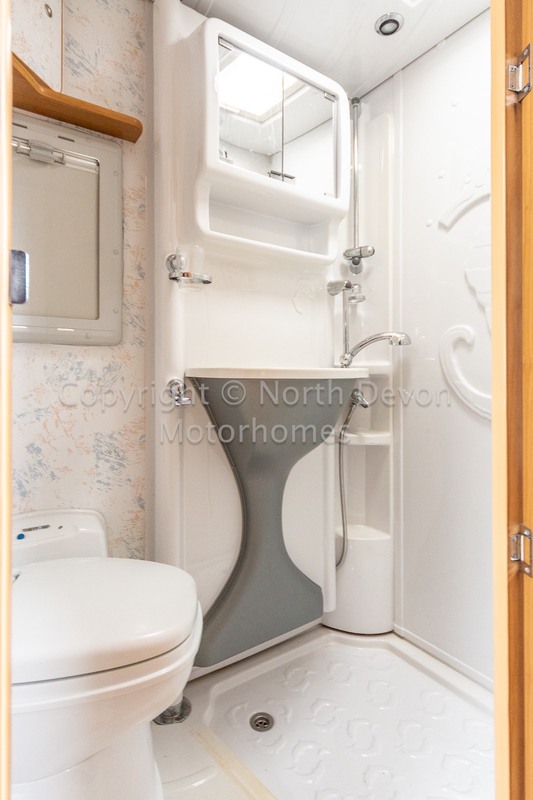 In amazing condition and a stunning little motorhome with top Auto-Cruise quality build. 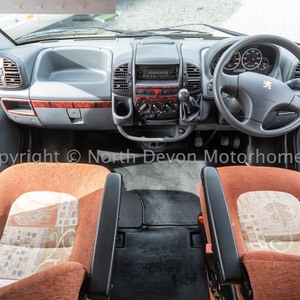 Bodywork and coachwork is in very good order throughout. 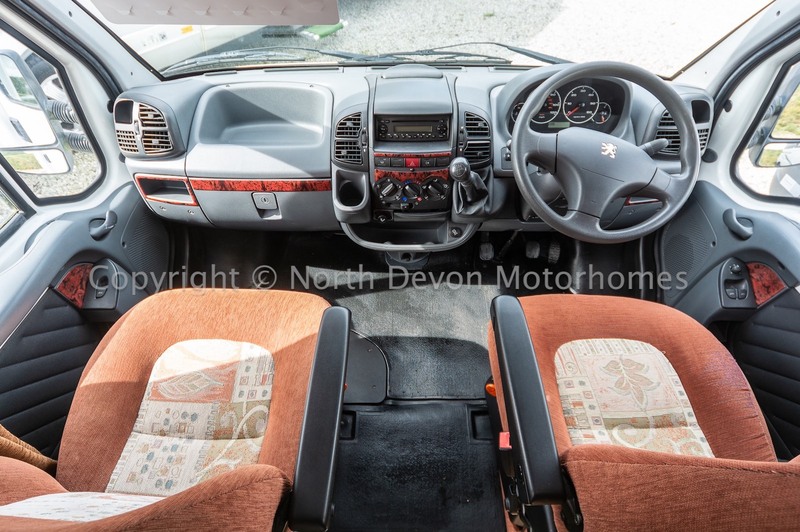 Peugeot 2.2 HDI, 5 speed gearbox with electric windows, Electric mirrors, Power assisted steering, Reversing camera, Stereo/CD player, Captain swivel seats. 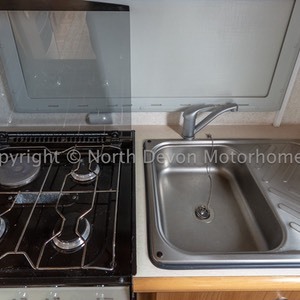 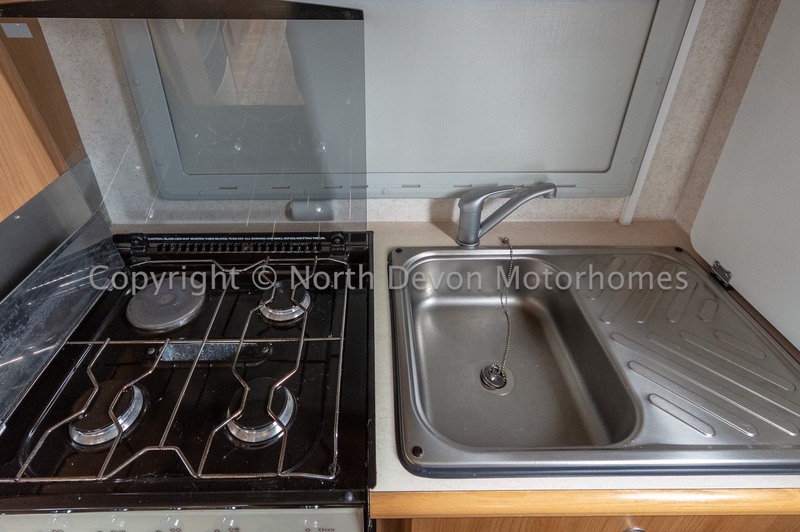 4 Burner gas hob (one of which is an electric hot plate), oven and grill, 3 way fridge, sink and drainer, ample storage units and cupboards. 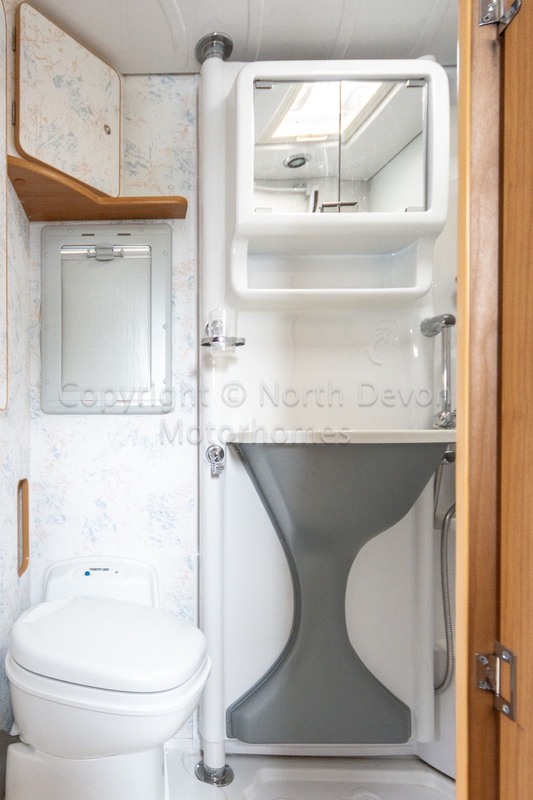 Beautifully appointed with the added benefit of a swivel door that separates the shower compartment. 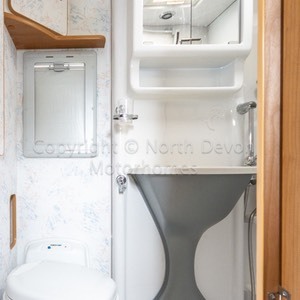 Swivel Cassette toilet, sink, vanity unit, shower, skylight, 12 volt spot lighting, hot blown air heating point, window with nets and blinds. 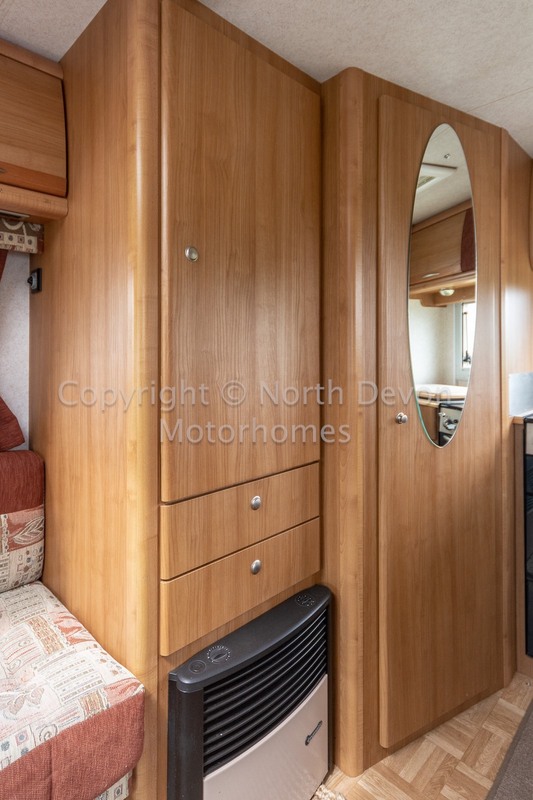 Trumatic gas hot blown air heating system, providing heating throughout the van, Truma Ultra store gas hot water system, providing hot water to both kitchen and washroom. 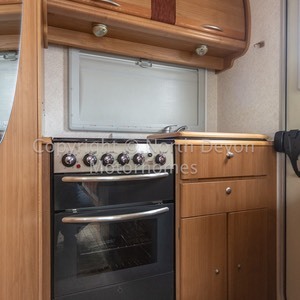 All Double glazed with nets and blinds through out. 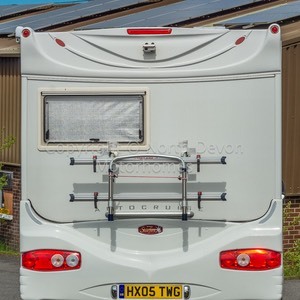 Toad alarm system, Awning, Bike Rack, Electric step, Reversing camera, External Gas BBQ point, Solar Panel, Stereo/CD, Gas Bottle with Hose and Regulator, 240v Hook up.